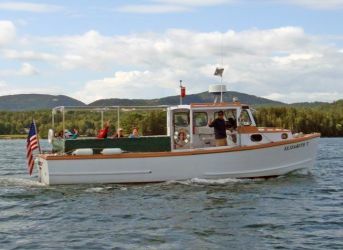 Explore Acadia's Quietside aboard the Elizabeth T, a wooden Maine lobster boat. Haul a lobster trap. View seals, porpoise and osprey. Visit the Cranberry Islands. 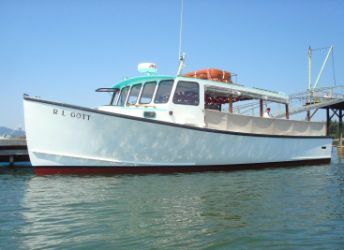 Private charters, lobster bakes, dinner cruises, and water taxi service available. 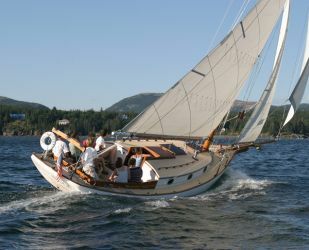 Sail Acadia aboard a classic Friendship Sloop. Catering to small parties aboard a gaff-rigged sloop inspired by centuries of Maine maritime tradition, the graceful, comfortable cockpit offers a unique experience not found on larger vessels. Discover the treasure of Mount Desert Island’s southern shore on the Sea Princess’s unforgettable scenic nature cruises. Watch seals basking on East Bunker Ledge, see a bald eagle soar overhead, visit the quaint fishing village of Islesford on Little Cranberry Island, and take in the majestic splendor of Somes Sound fjord’s mountain peaks and rugged shores. *Book in advance, tours often sell out! 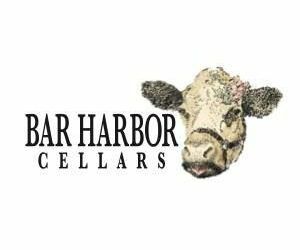 Located on a 10 acre farmstead, Atlantic Brewing Company offers tastings of Bar Harbor Real Ale, Blueberry Ale, and much more daily from 10 to 5. Tours of the brewhouse take place at 2, 3, and 4pm every day followed by a guided tasting! 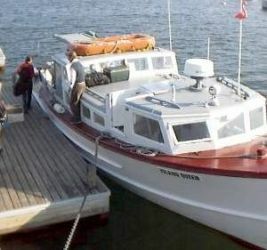 Operating since 1992 from the Southwest Harbor Upper Town Dock, this ferry serves Great Cranberry, Islesford (Little Cranberry) several runs daily 7AM to 5PM. 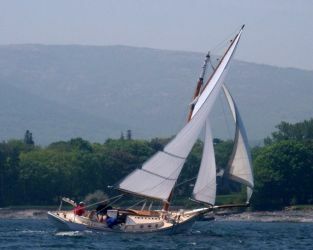 Experience the Real Maine on Acadia’s Quiet Side as we sail among the Cranberry Islands and Somes Sound. Enjoy the breath taking vistas of Acadia National Park. Relax as we sail past the lighthouses, lobstermen, and magnificent summer “cottages” that make this world-class cruising area unique. 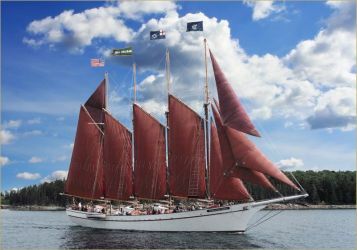 Hosted on a traditional Maine-built wooden sloop, the Friendship Sloop SURPRISE carries a maximum of 6. Island Cruises - Awarded the Best Island Tour in New England, discover our Lunch Cruise to Frenchboro or the Afternoon Nature Cruise. Either way, you'll enjoy breathtaking beauty and a fascinating narrative by the owner and captain. June thru Sept.